Stunning LAKE VIEW HOME with 4 bed, 3 bath and over 3,000 sft of finish area, on a large 0.34 acre lot, offers a wrap around balcony to enjoy the views, bright open concept kitchen, easy to entertain, the big size master bedroom fits a king size bed and more, wake up every morning with view of the lake,large ensuite has a bathtub, shower, heated floors, skylight, vaulted ceilings, and big walking closet, room for a pool in the backyard. Enjoy the summers with SHARE ACCESS TO THE BEACH(rigth of way - by lockview road), and located 15 minutes from downtown and international airport. 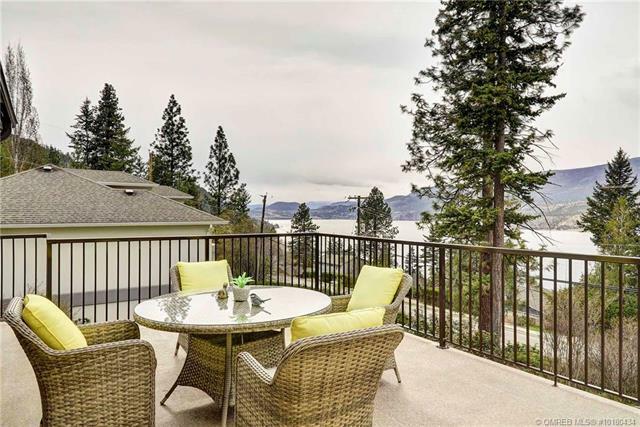 Could be the PERFECT Okanagan BED AND BREAKFAST, with ROOM for a POOL. The backyard is an oasis, enjoy watching the ducks swim in the pond and waterfall, vegetable garden, and private setting. the main floor offers 2 bedrooms, a big theater room, extra living room area and a laundry room plus a double car garage. This exceptionally well-maintained home is one owner only. Offers many updates, such as hardwood floors, energy efficient heat/AC, air exchange system, new windows, railing, hot water tank, back patio, and driveway paved.